Our newest tour for 2019! The tour starts with a brief safety orientation before separating into one of our individual four door jeeps. Each jeep holds up to four people, or five if they are in the same party. Don’t have four in your group? Not a problem, we will match you up! Drive up the White Pass trail on The Klondike Highway in a guided convoy of our four door Jeep Wranglers. Take the ultimate Yukon experience with the Yukon Discovery Tour! Drive through the White Pass and into Canada and the Yukon Territory where you will see the Carcross Desert, Emerald Lake and have lunch at a dog mushing camp. Lunch, dog mushing camp, puppies, petting farm & wildlife museum are included in the price of the tour! The Yukon Sightseeing Tour is especially formatted for those who want to experience and photograph the incredible beauty of the White Pass and Canada’s Boreal forest. The Yukon Sightseeing tour will introduce you to Skagway’s rich Klondike Gold Rush history and unbelievable wilderness. Journey beyond Fraser and into the Yukon Territory! 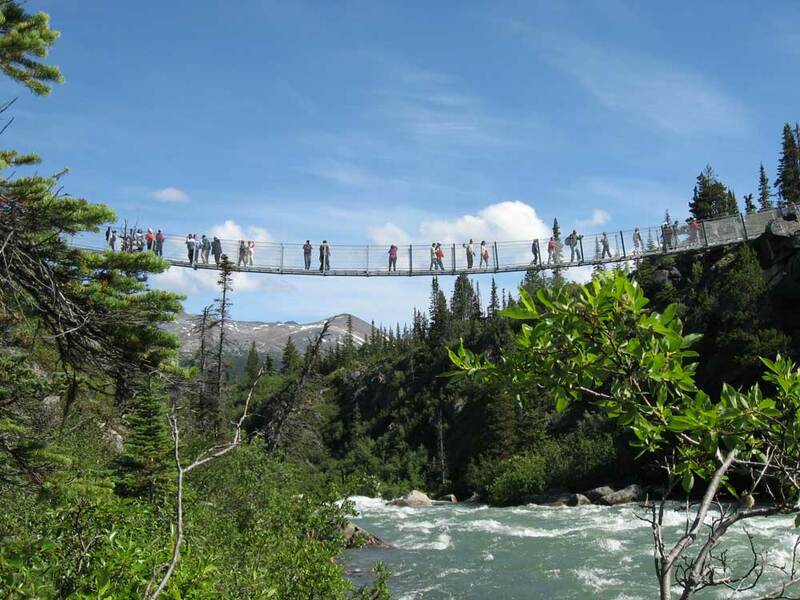 This Skagway tour is ideal for travelers wishing to explore the beauty of the Yukon.